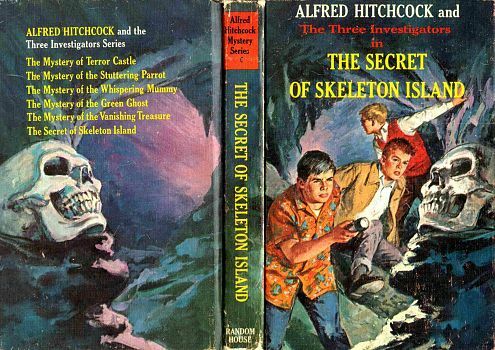 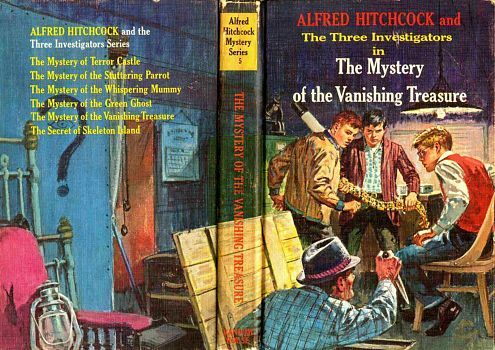 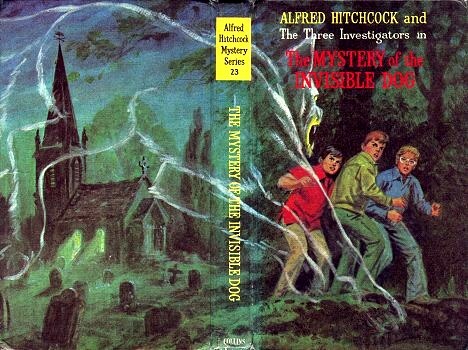 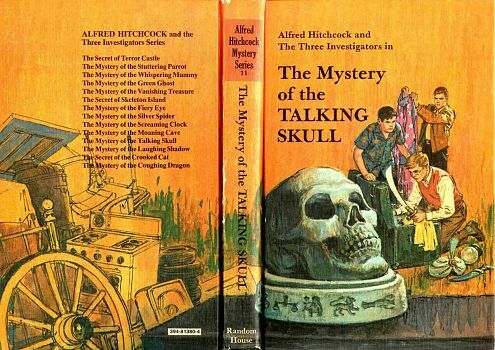 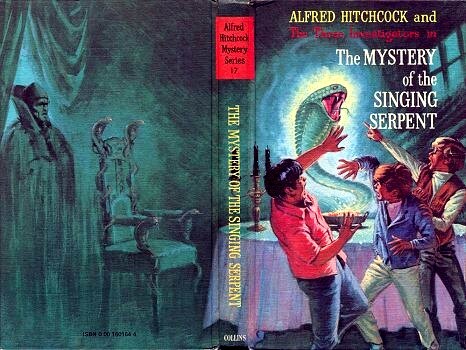 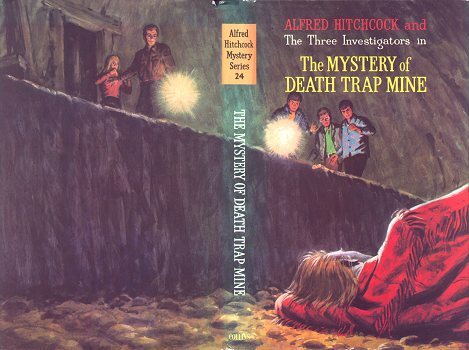 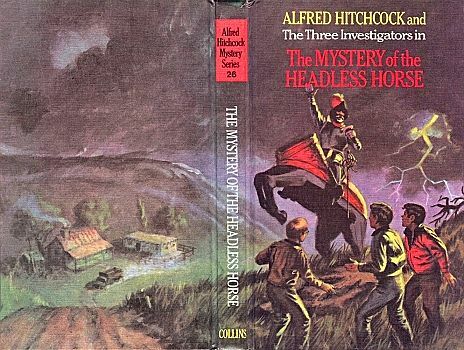 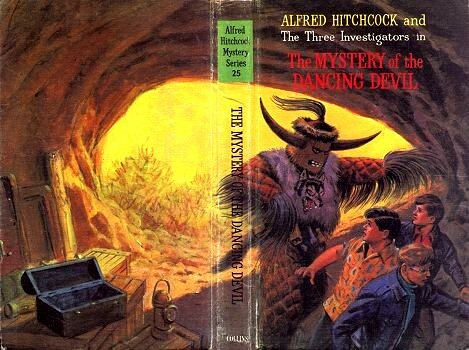 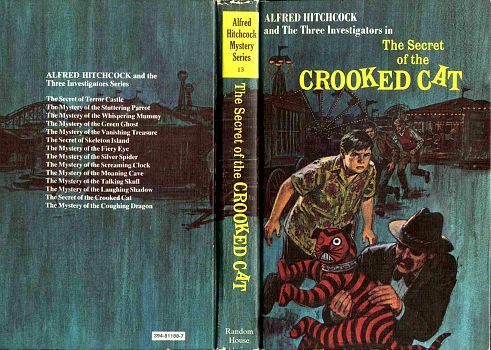 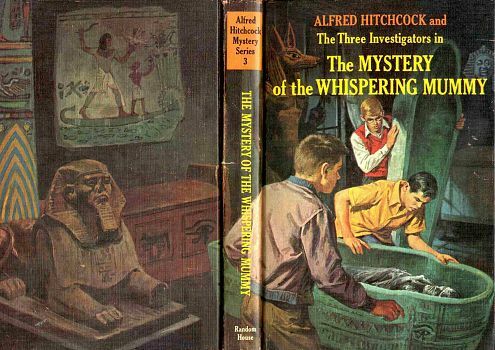 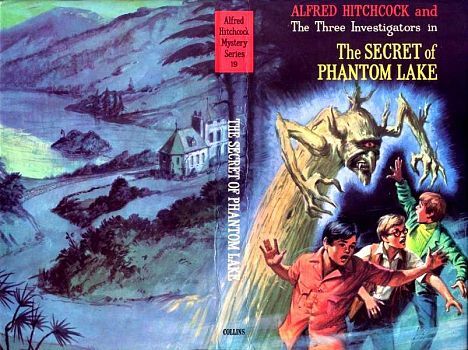 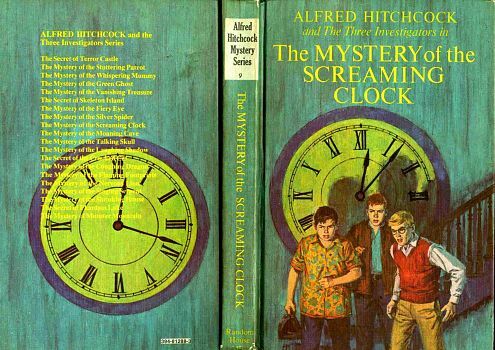 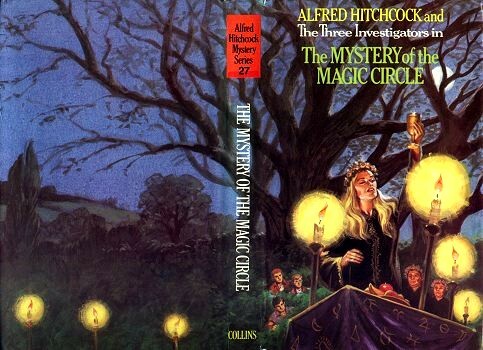 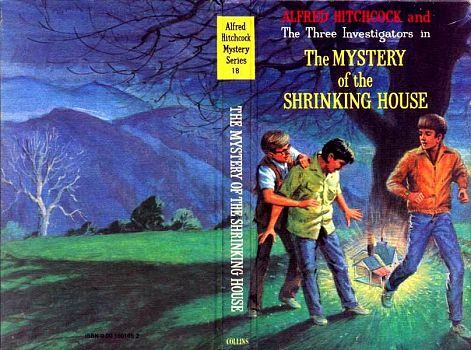 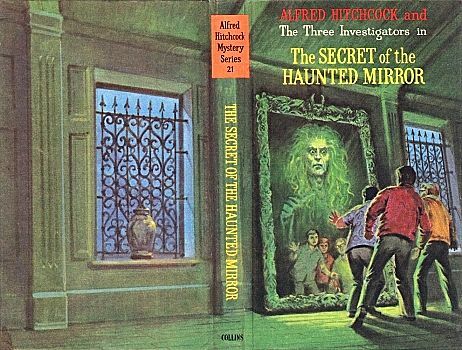 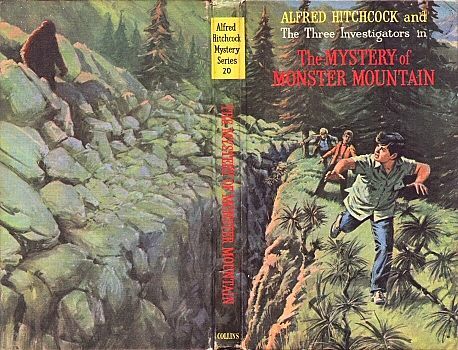 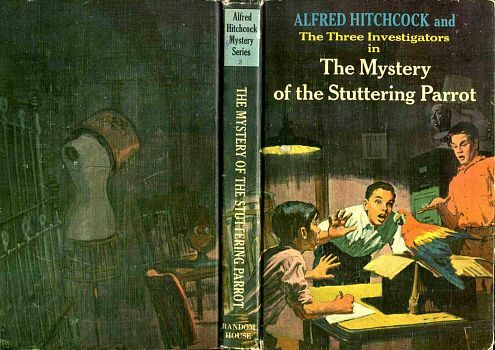 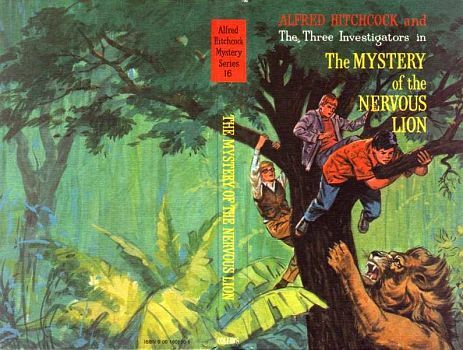 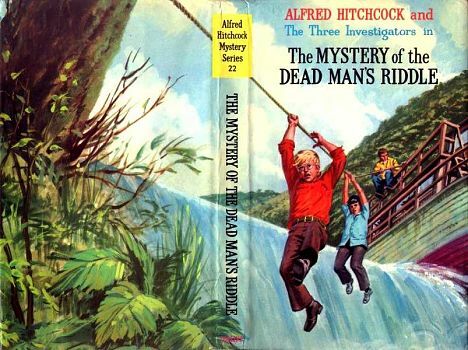 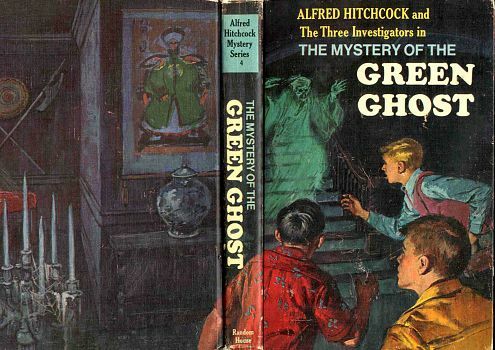 The artwork of the Three Investigators books was a large attraction to many of us readers of the series. 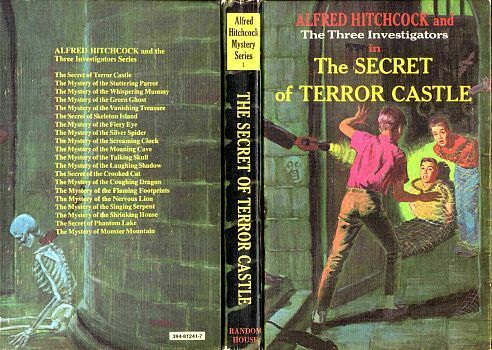 In particular, the covers of the books were always designed to grab the readers' attention and give a glimpse of the action that was waiting inside the book. 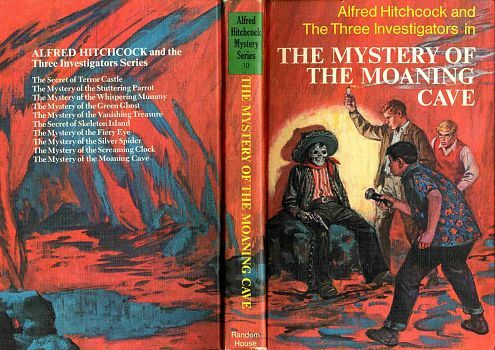 Surprisingly, the series relied on only two artists for the first 19 covers in the series with Harry Kane drawing most of them. 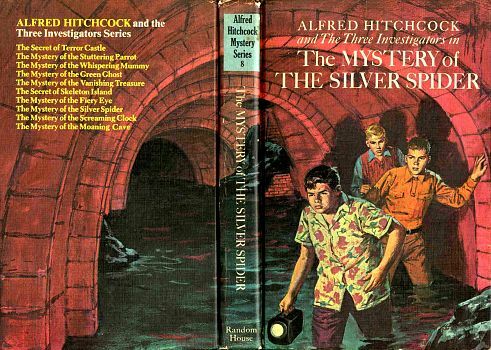 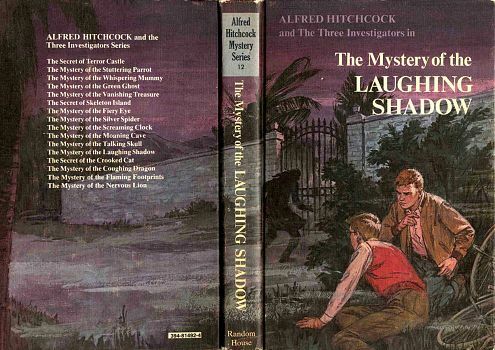 The first 14 books in the series, as published in the United States, had artwork that wrapped around spine and onto the back cover. 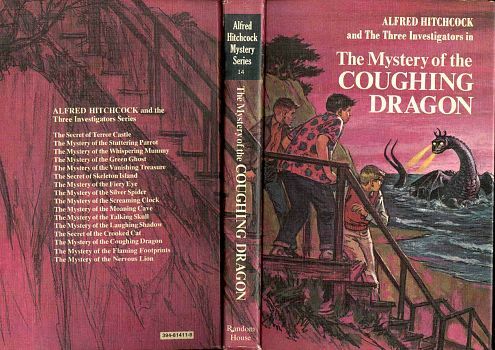 This effect truly gave the impression of a masterpiece of art. 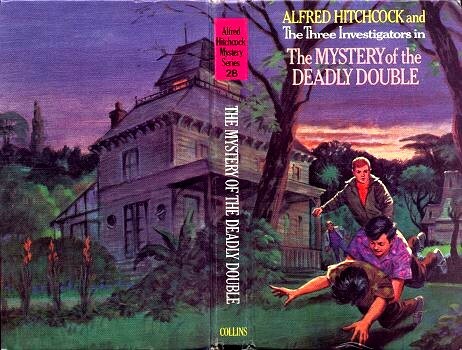 Although the practice of wraparound art was discontinued in the US beginning with #15 (Flaming Footprints), the UK books continued with wraparound art on their hardback books up through #28 (Deadly Double). 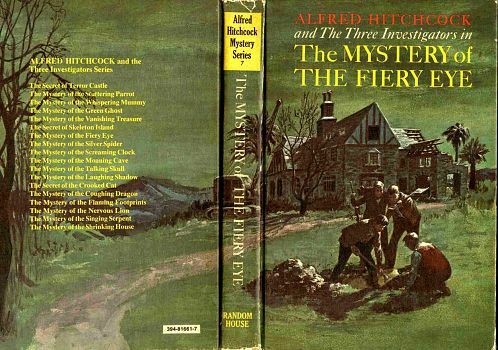 This section shows all the covers in full wraparound style--the first 14 from the US, and the last 14 from the UK (thanks to Ian Regan for graciously supplying me with scans from the UK books). 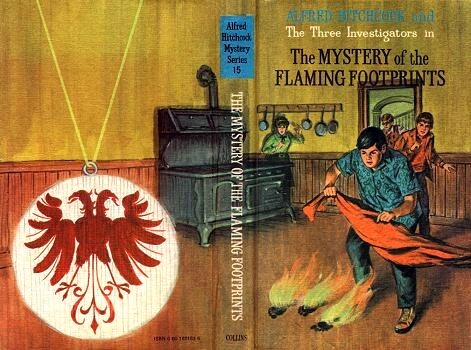 You can click on the links below to see the wraparound artwork for that cover.